Delores Ferguson was named CCMC Western Division president in 2011. 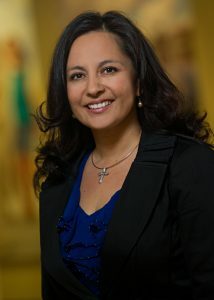 She is responsible for all CCMC operations in Arizona, California and New Mexico. A seasoned professional, she brings more than 30 years of diversified master-planned and portfolio community management experience to our company, along with exceptional passion and energy. As the leader of her division, she works with team members to find innovative ways to create and nurture strong relationships with our clients and team members. Delores has many achievements including the Association Management Specialist (AMS) and the coveted Professional Community Association Manager (PCAM) designations from the Community Associations Institute (CAI). In addition, she has also obtained her Certified Manager of Community Associations (CMCA) from the Community Association Managers International Certification Board (CAMICB) and Certified Arizona Association Manager (CAAM) designation from the Arizona Association of Community Managers (AACM). Previously, Delores served on the Programs Committee for the Leadership Center and as a member of both the AACM Professional Standards Committee and Education Committee. She currently serves as an AACM Board of Director and is very active writing and teaching industry certification courses. She is also active in the Valley Partnership – Community Project Committee Meeting.